I am the Web Architect at Henry Ford College in Dearborn, Michigan. Prior to that, I worked for nearly 28 years as a network and systems professional for Access-Interactive, LLC in Novi, MI. 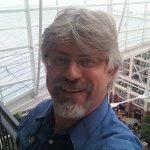 During that time I did everything from building computers, to network implementation and administration, to web design and software development, which led to nearly 20 years as an outsourced IT Services staff member at Henry Ford College, first as a network administrator, then as part of the Ellucian support team, and finally as the Web Architect. I am an audio volunteer on the Production Team at The Cornerstone Church of Highland, MI. I also perform some volunteer IT consulting at the church, including firewall, networking, and web development. I am happily married and the father of two awesome daughters. I am a supporter of the Drupal Content Management Framework, and have submitted comments and patches to the issues queues for several contributed modules. I am an Ohio native and thirty-plus year Michigan resident. High school and college friends will most likely remember me as Mike Webner. I switched back to using my given name in my twenties while working at several small businesses that already had too many Mikes working there.